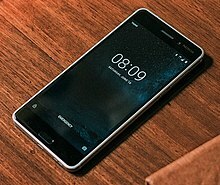 ^ 1.0 1.1 1.2 售价1699元！Nokia 6将在1月中国上市：高通骁龙430，4GB内存. 2017-01-08. ^ CES 2017: Nokia Android phone spurns the West. ^ Nokia's fresh start hinges on these Android phones.engadget.2017-02-26. [2017-02-27].